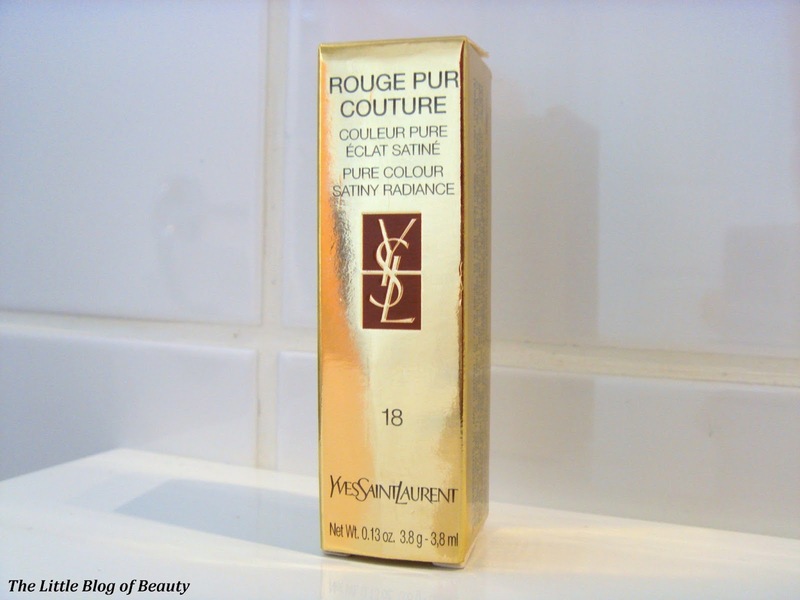 I recently had the opportunity to try my first high-end lipstick and was sent the YSL Rouge Pur Couture lipstick* in shade 18. 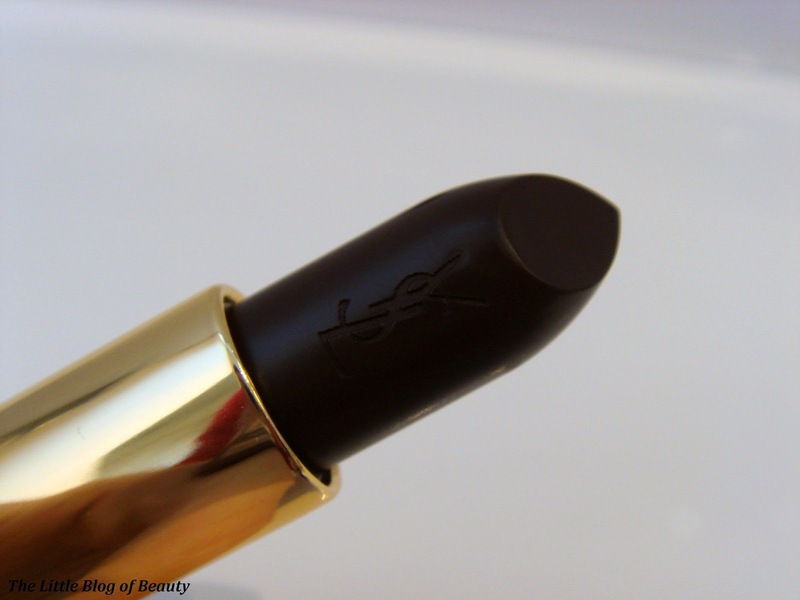 Being a big lipstick fan I was obviously super excited to be trying out my first YSL lipstick, but I have to say I'm a bit under whelmed by it. 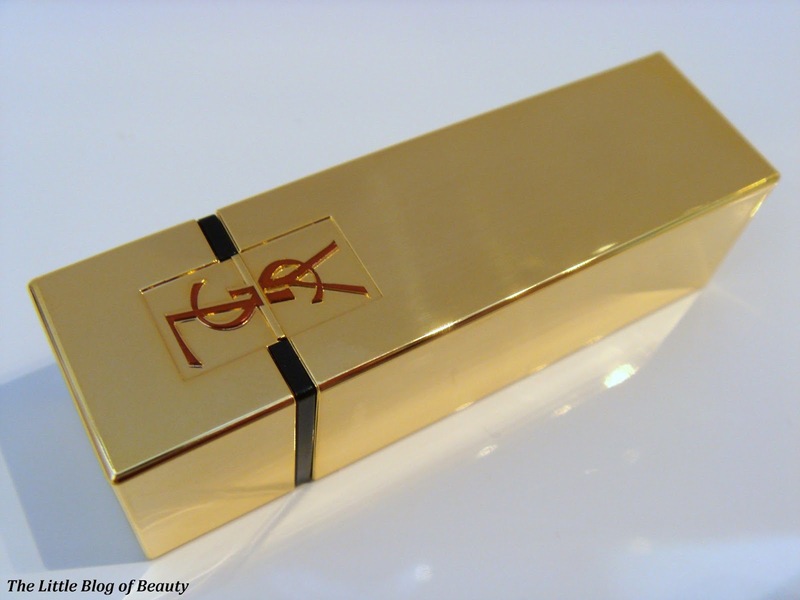 As would be expected with a product like this the packaging is stunning, although I'm not personally a fan of gold and don't usually wear gold jewellery. Obviously the shiny casing of the lipstick looks amazing (and can double up as a mirror) but along with a very shiny surface comes those dreaded finger print marks. Some people might not be bothered by this but it does drive me crazy, meaning I'm forever polishing up packaging like this and trying to touch it as little as possible (which is obviously pretty impossible!). The wind up and down mechanism is not quite as sturdy feeling as I would expect it to be but it's far from loose. The lid doesn't click back in place but does slide smoothly and securely when replaced and I wouldn't be worried about it coming off in my bag. 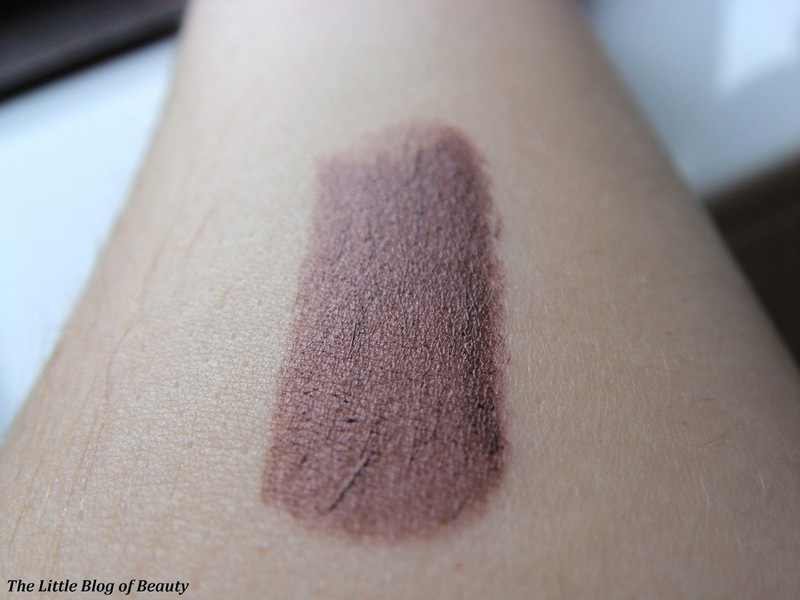 I didn't actually check what shade the lipstick was in and when I opened it when it arrived I was shocked to find a dark brown bullet. This did worry me slightly as with my pale skin and dark brown/almost black hair (dyed, I'm naturally blonde) I thought this might be a bit Morticia Addams on me (if you don't know who Morticia Addams is I now feel old!). 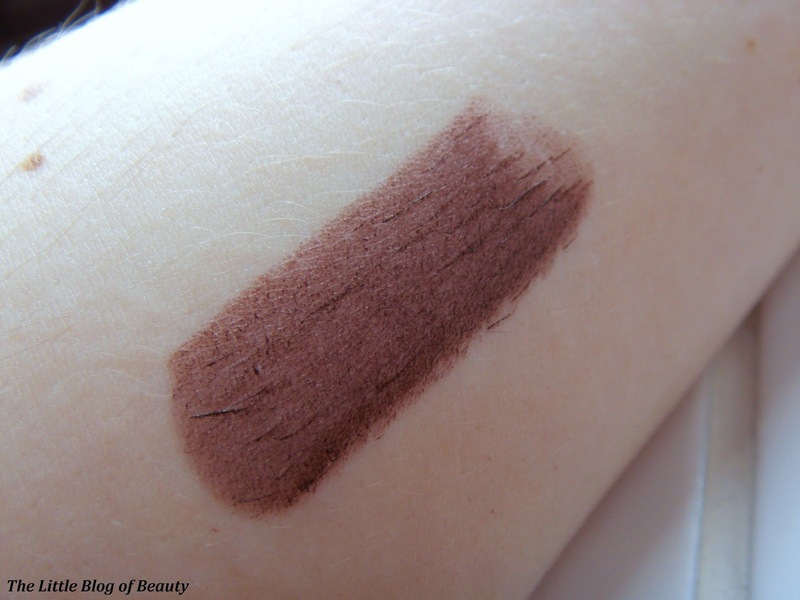 Although this looks brown, and it is pretty much brown, it's kind of a very dark plum kind of brown. This doesn't appear to have any kind of scent but does have a slight taste to it that although isn't too bad is not a particularly nice taste either. This applies easily, smoothly with no pulling on the lips, and once applied I was surprised to find that although it did give me a bit of a goth look that I would only go for on particular occasions, it didn't actually look too bad on me. My mum was also quite surprised and responded with 'Oh that's not too bad actually'. I believe it may be down to being such a dark colour but I did find that it settled into the lines in my lips quite a bit and although I don't think you can see this from a distance, you can see this more close up, especially if I smile. Admittedly I did apply this just before I then made myself some lunch but I found that it didn't really last very long at all, maybe a couple of hours. But then again I think this may be due to it being such a dark colour, so any fading from eating and drinking was very obvious. So overall like, I said I was slightly underwhelmed by this, but I believe some of this was due to it being such a dark colour. 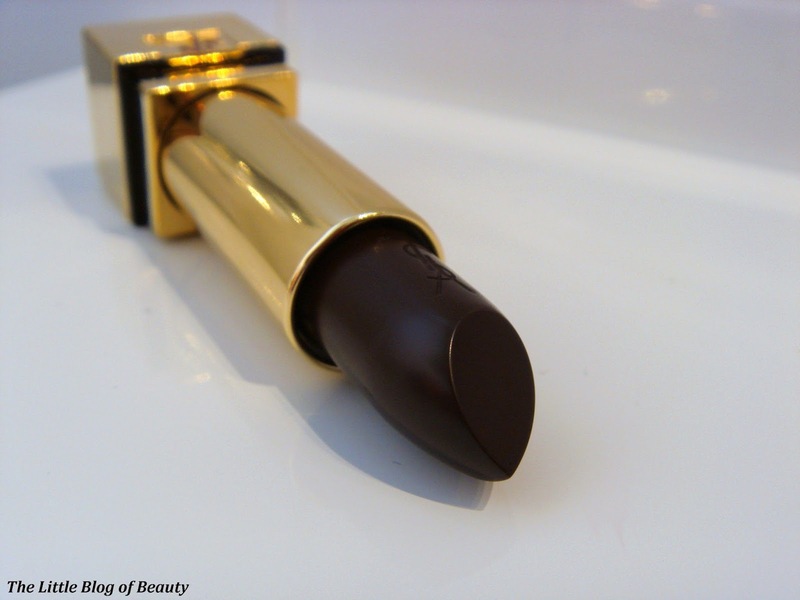 I would still definitely consider trying another YSL lipstick in the future, but maybe from another range or even from the same range but in a colour that is much more me. 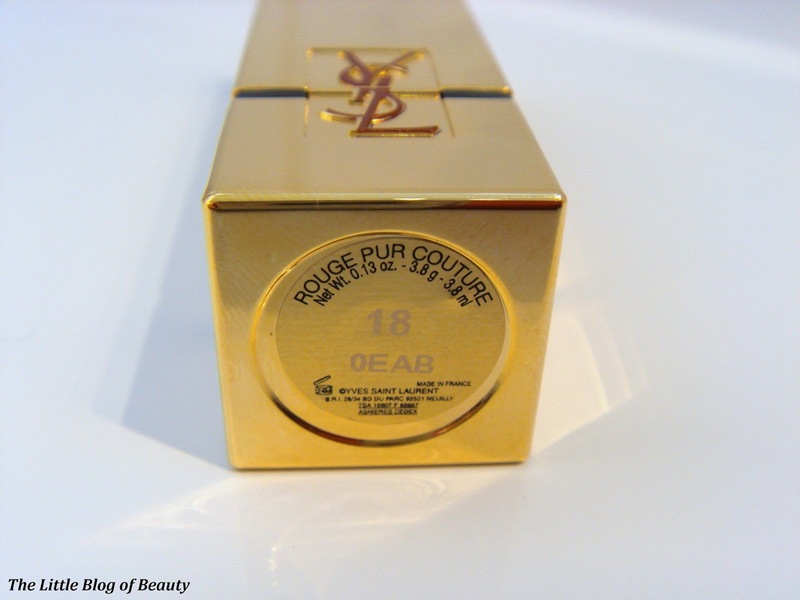 The YSL Rouge Pur Couture lipsticks are available from Harvey Nichols for £25 each.